You only have one moment to shine and that is your wedding day! You’ve got the dress, the food, the cake and the music is taken care of, but what about the entertainment for the guests? Why not allow your guests to shine as well? Why don’t you consider making it an even more memorable day by adding a photo booth to your wedding reception? 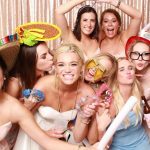 See all the fun and excitement that exudes from your guests when you have Snaparazzi Photobooth Company in attendance for your guests to enjoy. A picture can say a thousand words, especially when you’re having fun. A picture also lasts a lifetime. Give your guests the luxury of capturing a moment in time and being able to take home that moment in time with them. Pictures are a great way to remember a special moment in your life. Pictures can also be a great way for people to bond at your wedding, especially among strangers who have never met. Keep the camaraderie going and growing with Snaparazzi Photo. Have you ever been to a wedding there was plenty of wedding fun, but it was missing something? Maybe people were just standing around and not being properly entertained? Well, guests won’t be missing that certain something at your wedding because you’ll have that special something, Snaparazzi Photobooth. Photobooth pictures give people the chance to let their hair down and take candid pictures with loved ones. People will be fighting over the booth so that they too can take a special keepsake to take home with them and remember your wedding day forever. Have you ever received a parting gift from a wedding and never found a good use for it. Well, you won’t have to worry about this when you utilize a Snaparazzi Photobooth at your wedding. Guests will line up anxiously awaiting their turn to get in the booth and take pictures. They’ll also have something to take home with them and remember your special wedding day and the best wedding reception they’ve ever attended. They’ll know exactly what to do with their keepsakes and the photos will be visible in homes and online for years to come! 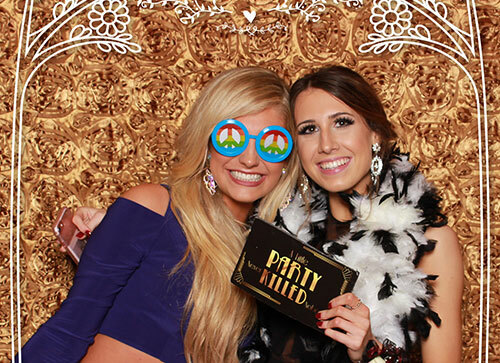 Not only do guests receive a party favor in the form of photo booth photos, but the bride will have a memory book to remember her guests for decades and more! A photo booth is a wise investment not only for the bride and her hubby but for the guests at the wedding. Imagine sitting with your grandchildren, viewing photo booth photos of their aunts, uncles and other family members who attended your wedding. There is something nostalgic about wedding photo booths. They bring people closer together. Photobooth pictures for a wedding are important because not only will just about everyone be involved in the photos, but it will turn strangers into friends. Some of the other benefits of having a booth for photos include being able to hold on to special memories, giving guests hours of fun, and guests will have keepsakes to go home with and remember your special day forever. What are you waiting for? Call the wedding photo booth pros from Snaparazzi today! Hello there! 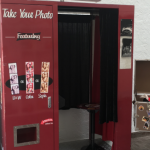 Do you also offer a GIF photo booth service? I would love to have one during my upcoming wedding. We do offer a GIF booth for weddings. We can offer our stand-alone kiosk with GIF photos or we can have an add-on to our booth options (open booth or vintage, enclosed booth). We have sent you an email so you can see our offerings. I look forward to working together!